A Series A Preferred Stock financing is a pivotal event for the success of your startup. Join us for our next Tacos & Term Sheets Workshop to learn how to negotiate your Series A Term Sheet with investors and secure the best deal for your startup. Learn the key terms and negotiation issues for a Series A financing round. Negotiate more effectively when you decide to raise Series A. Learn how key Series A funding terms will affect your future exit event. Real-time review of detailed Series A funding model. Analyze the ownership dilution effects of key Series A financing terms. We want you to achieve startup success, especially when it comes to raising money. Take advantage of this opportunity to ask your important startup and fundraising questions. 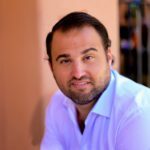 Carlos works closely with startups and growing companies across a variety of technologies and industries, advising them on legal and business matters at early-stage startup, funding and sale. As a startup attorney, he has seen many business plans, approaches and decisions, many done well and many done wrong. Carlos takes a practical legal approach with his clients and is dedicated to making a tangible difference and positive impact on their businesses, knowing firsthand the challenges of not only launching a startup, but also managing a successful business and planning for the future. Matt has a gift for finding thoughtful and creative solutions while structuring transformational deals and loves working on venture financings and M&A transactions. He also enjoys being in the trenches, advising and supporting clients on their most important matters. Matt is a business lawyer and advisor focused on representing entrepreneurs, startups and established businesses. His practice consists of working with entrepreneurs from idea to exit, angel and venture capital financing transactions, mergers and acquisitions and acting as outside general counsel to startups and emerging growth companies. We’re business attorneys that provide legal fuel for startups, working side-by-side with entrepreneurs to start, fund, grow and exit companies. Having worked with thousands of startups, we’ve identified a significant gap in traditional startup accelerators and incubators – top quality legal strategy, support and guidance. That’s where we come in. Startups need good legal help in order to be successful. So, as an extension of our law firm, we developed the Legal INCubator to guide and empower entrepreneurs along their startup journeys. Our workshops, webinars, resources and tools dig into the details and issues that really matter, so that entrepreneurs can accelerate and advance their startups. Tony Medrano, Founder of RapportBoost.AI, Inc.